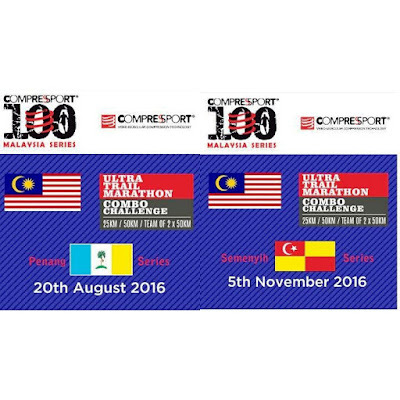 Compressport Asia Pacific welcomes you to Compressport 100 Ultra Trail Marathon. For year 2016, we will be offering two distances, 25km and 50km. The 50km PENANG Series is amazing. Not only is the view breathtakingly beautiful, the elevation gain for this distance sums up to a shocking 2,800 meter! This is definitely a 'to-die-for route' but the beauty that comes with it makes each drop of sweat worth while. As for the SEMENYIH KL series, what lies within this trail is also not for the weak. We challenge u to another whooping 1900 meters in elevation gain for this 50KM trail ultra. No matter how gruesome and tough the route for both the Penang and Semenyih series maybe, we always reward you with natures best. The best view each sector can offer, coupled with the serene forest wrapped within the freshness of air. It is definitely worth every ounce of sweat and energy channeled. 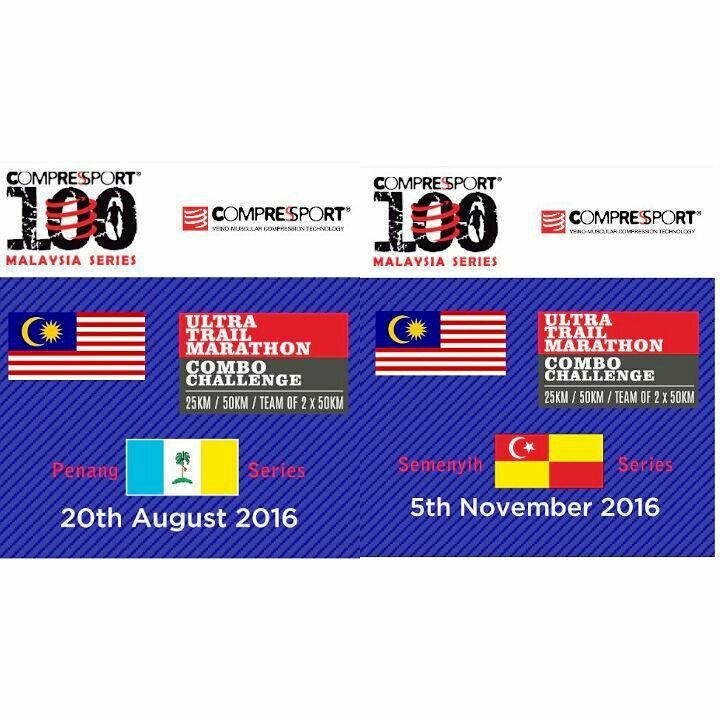 Compressport will be giving out the best of package to all runners who participate in this event. 1. COMPRESSPORT RUNNING TEE/FINISHER TEE worth RM119 each. 2. FINISHER MEDAL will be awarded to participants who completes within the cut - off time. Each finisher medal is designed and crafted to perfection according to the "zodiac sign" of the year. This series will continue every year with different zodiac signs crafted on the the medal. Participants will get the opportunity to experience each years series and collect all 12 specially crafted zodiac medals. 3. FINISHER PLAQUE: Participants who completes both series (Penang + Semenyih) within the cut-off time will be rewarded with an additional Finisher Plaque. Runners who completes both 50km distances in Penang & Semenyih will be awarded with a gold plaque. Where else the 25km series finisher will be given a silver plaque. 4. 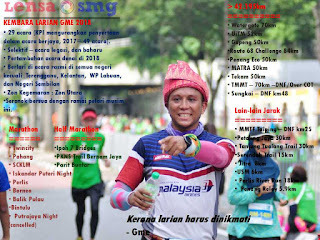 Free COMPRESSPORT ON/OFF HEADBAND (Semenyih series) and LIMITED EDITION VISOR (Penang series) worth RM75 each will be given to the first 300 participants who register for any race distances. Mark your calendar for this amazing event in year 2016!